The OnePlus 6 is here. And the verdict is that it's a brilliant, fast phone for a very reasonable price and it brings us closer to times when our phones will look like just one giant screen up at the front. With its tiny bezels and a glass back, the OnePlus 6 is a gorgeous piece of industrial design, but beauty has a price and in this case, the price of a glass phone is that it can fall and when it falls it can shatter into pieces, leaving you with costly repairs. So as much as we don't like it, we have to recommend that you use a case with the OnePlus 6. But which one is the best case for you? We take a look at the best OnePlus 6 cases to find out. At the moment, best also mostly means made by OnePlus as almost none of the major case makers has models for this particular phone. 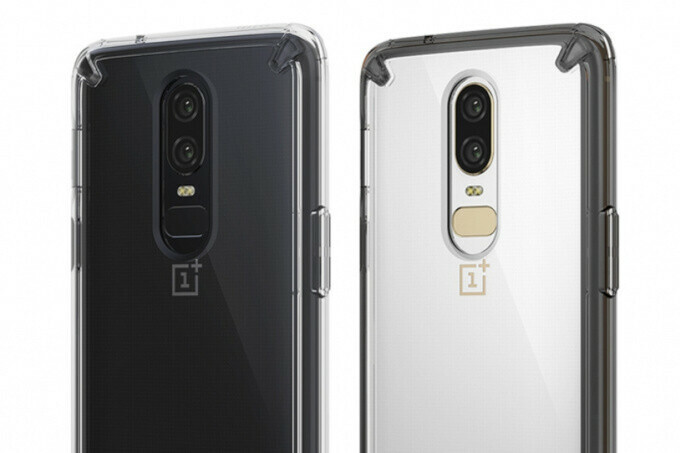 Keep in mind, though, that Spigen, one of the largest case makers, has promised that it will bring its own OnePlus 6 collection in the near future and we'll update you with that as soon as it's available. With no further ado, here are the best OnePlus 6 cases. 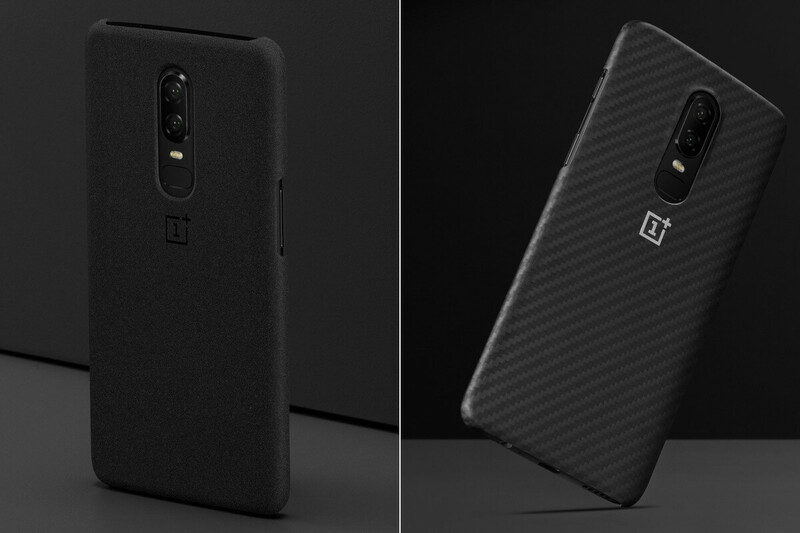 A bumper case offers protection from all sides and the ones available for the OnePlus 6 are the black nylon, karbon and ebony wood finishes. The nylon one ($25) is a brand new one and it has a rubbery finish on the sides and that signature, knitted nylon on the back that gives it a very interesting, fabric-like tactile feel. It's definitely a different sensation and we like it. The karbon ($30) and ebony wood ($30) finishes also have a soft, rubber sides that helps absorb shock, but of course the main material on the back of the phone is what gives these cases their character. Karbon is tough and industrial-looking, while ebony wood is yep, a wood, with its warmer feel and typical grain. 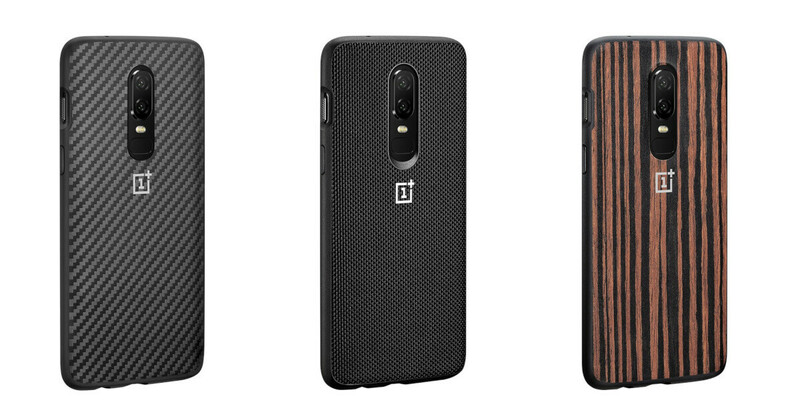 All these bumper cases are a bit larger than earlier OnePlus cases, but they do cover the phones from all sides and are indeed the optimal choice if you are looking to stay secure. Nothing quite says OnePlus without words as a sandstone finish. Here at the office, we are split about sandstone: some absolutely despise it, others (yours truly included) find it very likable and different, but it is a polarizing finish. This is a light case, much smaller than the bumper cases and it does not fully cover the buttons or the top and bottom of the phones, but it still offers proper protection for the sides, the back and the screen (it's raised slightly so that when you lay your OnePlus 6 flat on its screen, the display does not scratch). At $20, it's also one of the more affordable OnePlus cases. In addition to the all-screen protection in karbon, you can also get a light karbon case that is still very durable. 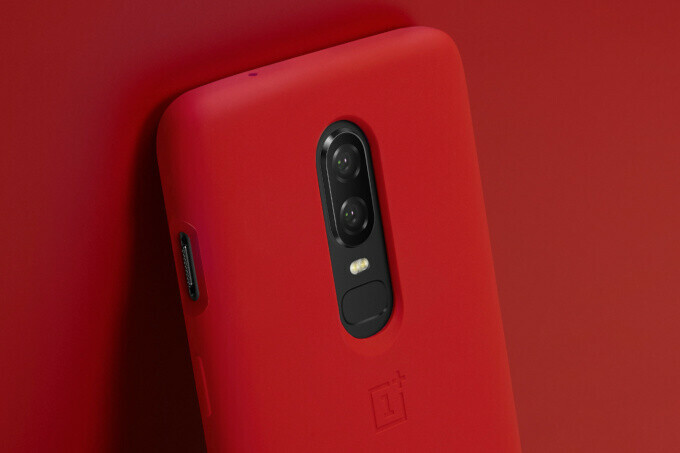 If you really want to make your OnePlus 6 noticeable, no other case will do as good a job as the new vibrant red case by OnePlus. The red finish is a really strong, a really intense shade of red and it has all the familiar and nice touches like a microfiber inside lining and a fluid silicone shell. The red case protects the side, including the buttons, but does not cover the top and the bottom of the phone. The price for it is set at $20. 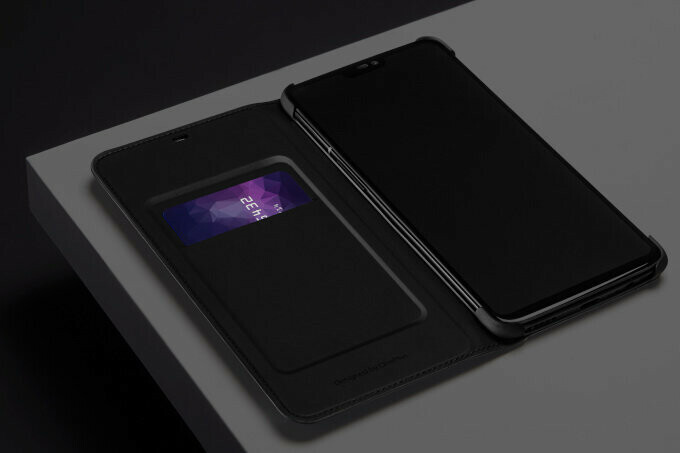 The flip cover is one of the bigger cases for the OnePlus 6, but if it can help you go without your wallet, it might be worth considering. Or if you just love that full protection for the display, the Flip Cover is a nice option to have. The flipping gesture becomes even cooler when you set up face unlock, so the moment you flip the case open, your phone recognizes your face and unlocks. The flip cover is made of PU leather and feels soft and very nice to the touch. On the inside, there is a tiny pocket for your credit card/s. The price for it is also quite reasonable at $20. It's hard to find a case for the OnePlus 6 that is not made by OnePlus, but Otterbox is one popular case maker that has embraced the phone and offers its symmetry case for it. 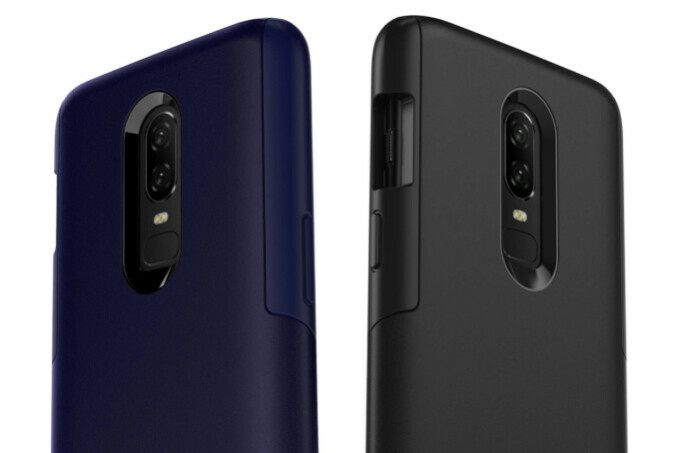 Available in a choice of two colors, indigo and black, the Otterbox case costs $30 and it is definitely the bulkiest and most well-protected case for the OnePlus 6. It features two-layer protection with a soft insider layer and a hard outer layer, and there are port covers that keep all ports dust and lint free. There is an important thing to know about this particular case, though: it is NOT compatible with OnePlus' 3D Tempered Glass Protector. And apart from a case, the tempered glass protector is really the next most important thing you should get to protect your display. Ringke is one other well-established phone maker who offers one case for the OnePlus 6: the Ringke Fusion. At just $10, this is one of the cheapest cases that you can get and it has a transparent look that will still show the design and styling of the phone underneath. With a shock-absorbing cushion design and a military-grade protection, this case is also a touch one, and it covers the phone from all four sides. 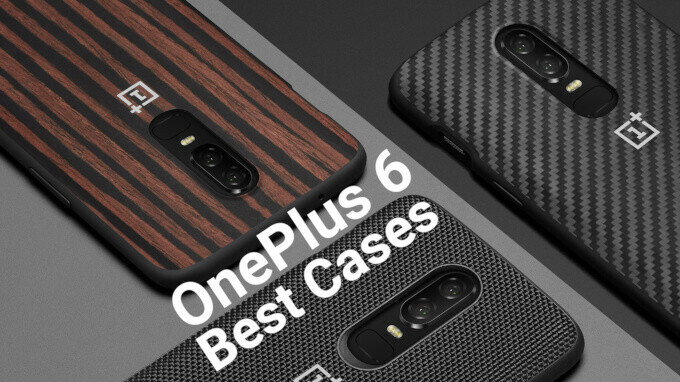 And this wraps up our selection of the best OnePlus 6 cases. Which one is your favorite?